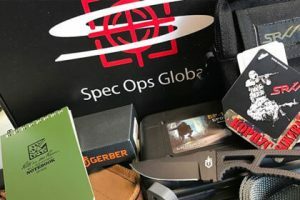 Crate Club brings you tactical and survival gear carefully selected and tested by Special Ops veterans. The content, value, and price of your subscription box depend on the subscription plan you opt for. There are 4 plans at your disposal. The most affordable option is the Standard plan, which brings you monthly deliveries of basic tactical gear approved by former members of Special Ops. It costs $34.99 per month with the monthly subscription, $26.99 per month with the 6-month subscription, and $23.99 per month with the yearly subscription. If you want something extra in your box and crave access to pro-level gear, you can opt for the Pro plan. This plan costs $59.99 per month with the monthly subscription, $53.99 per month with the 6-month subscription, and $47.91 per month with the yearly subscription. 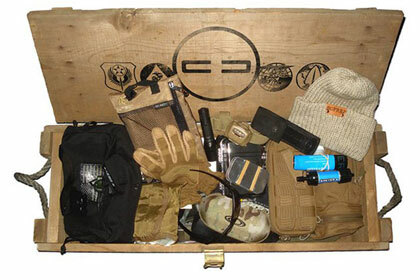 For guys who want to receive some of the best tactical gear available, Crate Club has created the Loadout plan. It costs $129.99 per month with the monthly subscription, $116.67 per month with the 6-month subscription, and $104.17 per month with the yearly subscription. Finally, for guys who do not want to settle for anything but premium-quality goods, Crate Club offers the limited-membership Premium plan, which brings you quarterly shipments of exclusive gear that is incredibly hard to come by. This box costs $399.99 and is delivered quarterly. Members of Crate Club get invited to the annual club gathering and party organized in Las Vegas or New York. Our ratings are the result of an objective and independent evaluation of Crate Club, generating the final rating that reflects the overall quality of the product. Ratings may change as the service changes. Crate Club user rating based on 16 user reviews. I have never been so disappointed in a product. I got this for my husband for Christmas. He’s a pretty tactical guy. Granted I didn’t get the top of the line crate membership. However, 6 months at $35 bucks or so a month should get you something at least unique or interesting. It was like you were checking a box and selling your brand. Embarrassing for me and disappointing for him. I am not the type to complain or ever give a bad review. Normally, I would just say nothing. But. This time was 6 months of hoping to get something cool and his disappointed eyes. Recieved a box with a grand total of $5 in items. A flint fire starter, and a bottle opener. Spent $29.00 and $9 in shipping. Highly dissapointed, asked for a return was told they do not accept returns. Will NOT be doing business with crate club again, and will let all my buddies know not to order. What a complete joke with absolutely unacceptable customer service. Thank goodness I just received the very last box! This box is an absolute joke! It is my opinion that this is a SCAM! I would think that being veterans you would select items that were MADE IN AMERICA. It's my opinion that these claims to be veterans is false. I haven't seen proof so I can only state my opinion. PEOPLE DON'T WASTE YOUR MONEY!! 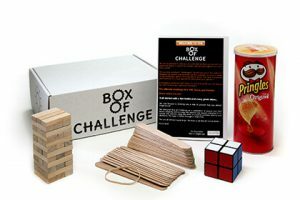 This company and box is a joke! The biggest waste of money I have ever spent. Twice now my husband hasn’t received anything! I email and no response. The last box was one item and it was a Velcro leg wrap big enough to fit a credit card in and was made in China. Which when you look it up the Ia worth 2 dollars! Don’t waste your money! There so called customer service doesn’t respond back! I signed up for crate club a few months ago and so far I'm actually digging it a lot. What I like most is that the gear is actually brand name stuff that's going to last. Really good knives, EDC bag, med kits, etc. I enjoy the "Christmas" like event of receiving a box of goodies and I also appreciate good quality survival gear so I signed up for the two premium crates with crate club. The monthly crate and the quarterly crate. I liked the fact that these were veterans and consultants supposedly in the field and using some of the equipment that I would be receiving. Granted, I can afford these boxes, and could purchase things on my own, but I really wanted to see what items would be selected and sent and I also enjoy the surprise. Well the surprise is that the items do not reveal a lot of thought process in putting them together and the quality is sub par. Gerber is clearly high on their list of items as I have received multiple Gerber products, all made in China. They are okay products but certainly not great and with these being American servicemen, I would think they would take more pride in American made products. Clearly they are getting the cheapest, best deal rather than the best products. Customer service offers very rote answers of no help. I would definitely cancel my membership but of course that is not allowed. Lesson learned here is buy your own stuff, you'll save money and get the quality you want. I will have a year of so-so products that I can turn around and use as stocking stuffers at 25-50% higher price. I’m only giving this one star because I have to. I ordered this “Crate Box” for my husband for Father’s Day. He loves outdoor and tactical items so I thought it would be a sure WIN! He received his first box last month and we were both so disappointed. Not at all what I was expecting or even what the advertisements portray. He looked at me like I was crazy. I emailed customer support and basically got the run around, no way to cancel and no way to return items for refund. I was greeted with a return email giving me the price ranges on the items received. No, sorry, none of those things are worth what you are pricing them at! I told them I had been happy and excited about being able to support a Veteran ran business. But this is a terrible way to spend your hard earned money! Fast forward to box received today- seriously???? What a joke! Some random Velcro thing that we could stick a quarter in for safe keeping? Such a disappointment. DO NOT ORDER this unless you are prepared for disappointment. And by the way- shipping is NOT free! It’s exorbitant. Started with the basic plan to try it out and it really isn’much fun. First box was ‘ok’ and the items were worth it. Second box was skimpy velcro ‘SERE’ band that won’t even hold a clip for a small caliber pistol, never mind much else. Sadly will be cancelling. The item retails for half of the subscription. Sorry guys. I thought i would order the $59.00 premium package for fathers day.what a joke..he recieved..playing cards..valued at $20..3 nano candles $8.95..and a flashlight valued $45..it wasnt any bigger than double AA battery..when i looked it up they had discontinued this item...i cannot believe how much of a joke this club is..buyers beware!!!! I paid for a year subscription for the quarterly and the monthly pro crates. What a rip off. You can lit rally buy the same products on Amazon for about 75% of the cost. A bunch of veterans that are happy to rip off a veteran like me. Save your money and STAY AWAY FROM CRATE CLUB. My wife got me the $59.99 box and all I got was a hatchet. Whooptie freakin do. Thanks for nothing. My first crate will be my last. Why, oh why, can't I give them negative stars?? I would if I could! In December Crate Club was running a "special" of 1/2 off with membership. I went through the steps trying to see what the total would be, but the step where the total and "proceed to check-out" should have been was a membership conformation. OK. Not great. Especially since it was only 1/2 off 1 box, not the whole membership! I wouldn't have joined having seen that total, which I'm guessing is why they skip that step. I IMMEDIATELY emailed explaining what happened and requested a cancelation. I received a conformation of cancelation via email right away. 2 weeks later I notice money missing out of my account. After much research I figured put it was Crate Club that had withdrawn it. Not only did they proceed with charging me, they took $75 more than the total!!! I have emailed on 3 separate occasions, and called numerous times. I have never received an answer, return call, or email. I finally had to dispute the charges through my bank, yet I still get packages in the mail. I have to write "Return To Sender" and take the packages back to the post office every month! PS Had I not wanted to join because of the price, I surely wouldn't have wanted to join after seeing the cheap, garbage they send. STAY AWAY!!!!!!!!!!!! The party alone was worth the subscription! These guys really know their stuff. Always pleasantly surprised by the quality, but I think they should offer bigger discounts on annual subscriptions. I mean, if I’m gonna pay for 12 boxes at once, I deserve more than 20% off. Just my opinion. We found 1 verified Crate Club promo code for April, 2019. 10% Off Get 10% Off Tactical & Survival Gear hand-picked by Special Ops veterans for LIFE!